Historically, friction welding has been restricted to large heavy equipment permanently installed in workshops and stud attachment has involved an electrical process with a power source capable of delivering several hundred amps from a three-phase power supply. 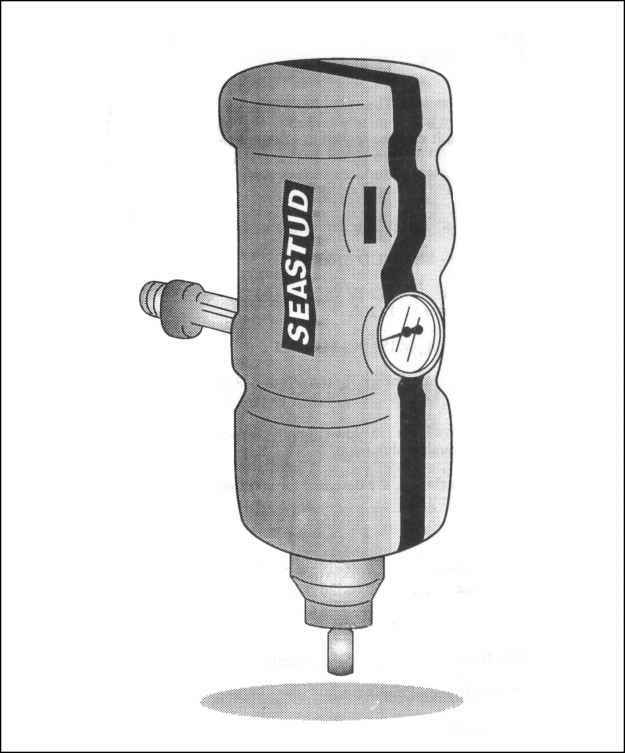 The SEASTUD portable friction welder, Figure E-8, is a lightweight, hand-held air-tool which will attach various size studs to metals and other materials. E-7.1 Principle of Operation. The friction welding process produces a weld by using the heat generated between a rotating stud and the fixed metal. The heat generated at the junction of the rubbing components allows the interface metals to become plastic and flow away radially from the point of contact, at the same time removing any surface contaminants. 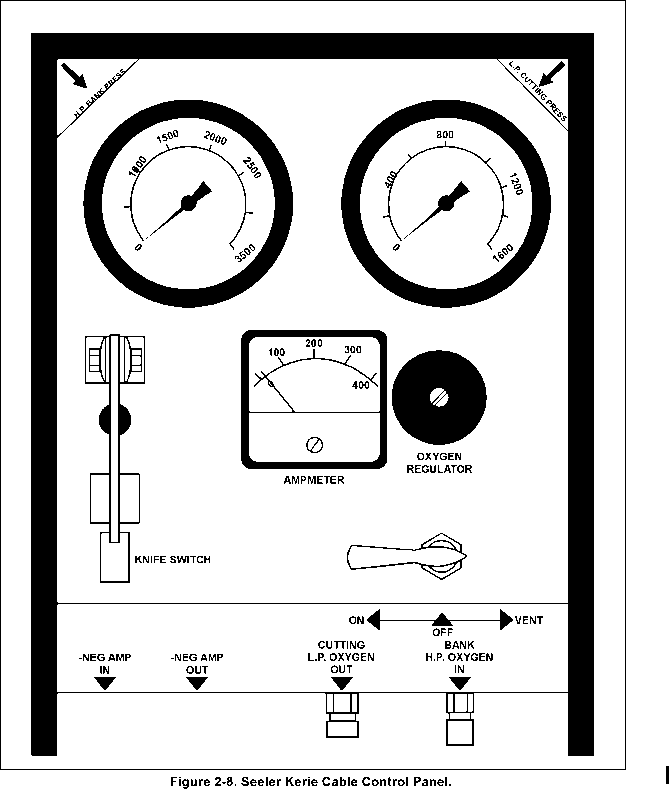 When the interface has achieved a clean, high-temperature condition, the two components forge together. Rotation is stopped at this point and the bond is consolidated. All this occurs within seconds without protective atmospheres, gases or flux. Welding times vary from 1-40 seconds, depending on the materials, the stud size and the metallurgical properties involved. It is an ideal tool to install patches. a. The SEASTUD is pneumatically powered and is independent of high voltage power supplies. b. Minimal surface preparation required as the process is unaffected by many surface contaminants. c. The operating technique is very simple and readily mastered. d. Only seconds are required to achieve a weld. e. There are considerable metallurgical advantages with the use of this method. Defects normally associated with weld metal, such as porosity, slag inclusions, cracking arising from arc irregularities are not possible therefore rapid solidification can occur. E-7.3 Equipment Requirements. The term, hand-held, as used to describe this unit, is a somewhat misleading as the unit is merely carried to the job site by hand. To operate the SEASTUD friction welder, it must be locked in place by one of a variety of clamps which are supplied with the unit. These are either mechanical, electro-magnetic or vacuum and will hold the unit onto a variety of surfaces such as steel, ferrous or non-ferrous, concrete and wood. Studs are available in low-strength carbon steel, stainless steel and commercial quality aluminum. Figure E-8. Friction Stud Welder.